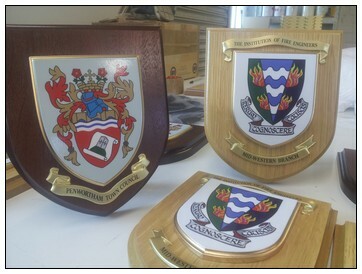 We’ve recently had the privilege of making a number of embossed shields for the London Scottish Bowling Association. 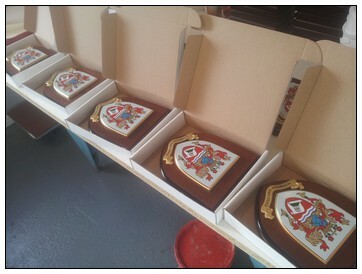 The original artwork was redrawn by us to improve upon the old shields, and then the new embossed shields were produced. 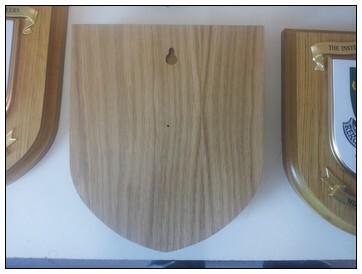 It was an interesting project and I became curious about the origins of this well-established club. What a fascinating history! 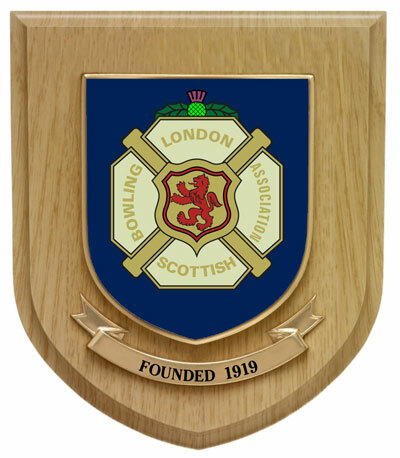 The London Scottish Bowling Association was formed on 2nd December 1919. It originated from a conversation between two Scots bowlers at the end of the Rosebery Cup at the Bellingham Bowling Club in 1919. Mr. William Taylor, a famous Dulwich skip, asked fellow Scot, Jimmie Duff, if he had ever thought of forming a Scottish Association. Mr. Duff had already discussed the possibility with another Belmont member Mr. James Manson, the literary correspondent for the London and Southern Counties Bowling Association as well as bowls reporter to one of the Scottish papers in London. Mr. Mason was a keen bowler and also the author of “The Complete Bowler”. These two gentlemen then contacted Mr. J Grant, who played then for Mid-Surrey, and agreed a meeting at Mr. Grant’s office to which a handful of other Scottish Bowlers were invited. These pioneers included Messrs James Duff, James Manson, J O Grant, W Taylor, D B McBride, Tom Robertson and A Adamson. James Manson presided over these initial meetings which culminated in the The first General Meeting of the London Scottish Bowling Association at the Royal Scottish Corporation Hall on December 2nd 1919. 42 notable Scottish Bowlers applauded the birth of the Association and its mission to cultivate and maintain ties of friendship with “brither” bowlers from the Homeland. James H. Duff was elected first President of the Association, a position he held for 4 years. Mr. Duff is recognized as a charming and enthusiastic man who was instrumental in laying the foundations for both the domestic functions and the tours of the London Scottish Bowling Association in London and Scotland. Mr. Duff was highly respected in bowling circles and can even claim to have drawn up the rules that govern the English Bowling Association. The Scottish Bowling Association had, years before, tasked him to draw up a set of rules to cover the game of bowls. These same rules were adopted by the London and Southern Counties Bowling Association upon their founding in 1895 and then accepted and adopted by the English Bowling Association upon their founding in 1903. In honour of Mr. Duff and his contribution to The London Scottish Bowling Association, the Association adopted the MacDuff tartan as the colors of the tie to be worn by members when playing Association matches. 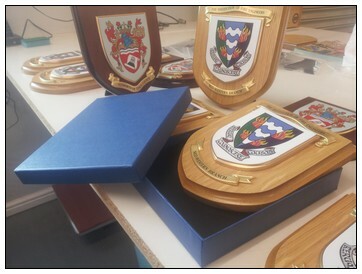 Although London Scottish does not have a green of its own, it has been fortunate enough to have been offered the use of greens by a variety of clubs. The Association is also pleased to have hosted teams from across the world, including South Africa, New Zealand and the USA. 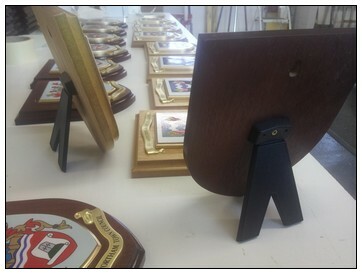 The London Scottish Bowling Association has also played its part in the development of Indoor Bowls and has seen the winter fixture list grow steadily. The Association is a friendly one, and apart from bowling hosts social events where members – old and new – can get together.